Residents can enjoy the storied Italian-American heritage of the area, still present in Court and Smith streets, as well as the new wave of cool bars and trendy restaurants opening up all over the area. However, Carroll Gardens is still quaint enough to exude a charming neighborhood vibe. All around you are other neighborhoods like Cobble Hill, Boerum Hill, and Gowanus, while the F and the G line keep you connected to Manhattan and other parts of Brooklyn. 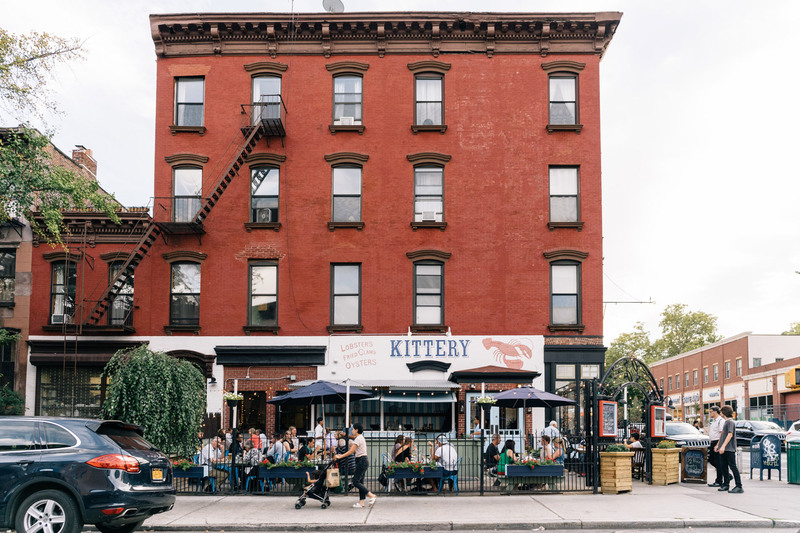 In Carroll Gardens you get the convenience of a great location half an hour from Manhattan, and the delights of a neighborhood full of brownstones on picturesque streets. Many of these have colorful front gardens making them even more desirable. However, historic homes are not all you get in the neighborhood. There are modern Carroll Gardens Apartments for sale and rent set in converted spaces like warehouses and jute mills as well as luxury condos with high-tech amenities. Formerly referred to as South Brooklyn or more specifically Red Hook, it wasn't until the 1960's that the neighborhood became Carroll Gardens. Named in part for Charles Carroll, the only Catholic signer of the Declaration of Independence, and for the front gardens found in the historic district. Initially settled by Irish and later Norwegians immigrants, by the late 19th century Italians arrived to work in the Brooklyn Navy Yard and began to displace the existing populations. This association has continued to this day with many Italian-American businesses on Court and Smith streets. Any talk of the attractions of the neighborhood has to start with the century-old Carroll Gardens Library. With 14,000 square feet of space and impressive vaulted ceilings, it's the ideal place to read or do your research. 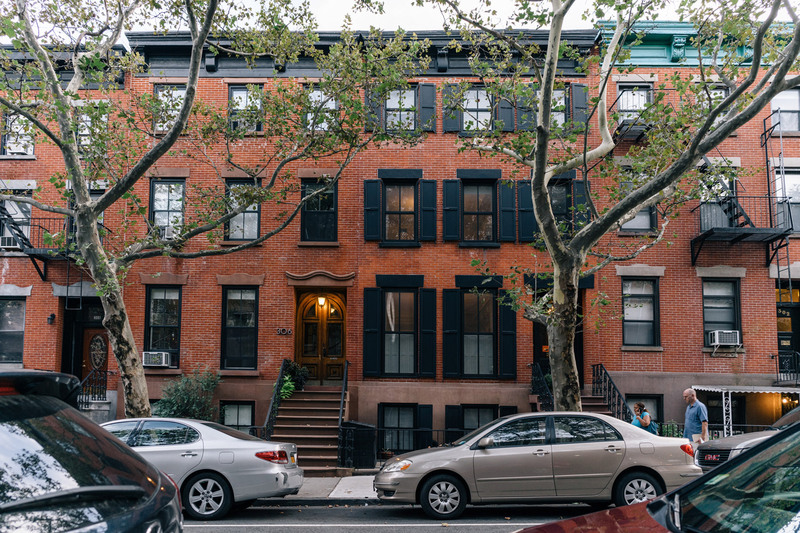 Those looking to take in the sights of historical architecture should stroll through Carroll Gardens Historic District. This area features brownstone homes that date back to the 1860's and is the perfect place to walk around. Continue in the outdoor air at Carroll Gardens Park, the third oldest park in Brooklyn and something of a community meeting point with its benches, playgrounds, and recreational courts. The Painted Pot is the ideal spot for aspiring artists, where you can paint your pottery and glassware. Finally, Smith Street Stage brings some quality theatrical performances to the masses. Every summer they perform Shakespeare in Carroll Park. The neighborhood has its share of quirky stores and none more so than La Casita Yarn Shop, which offers knitting enthusiasts the perfect place to hang out. Not only does it sell yarn, but it also provides coffee, food and knitting classes. Another local favorite is family-owned boutique 'Shop our Closet' that stocks resale women's clothing from designers like Chanel, Chloe, and Tom Ford. Alternatively, Neda Boutique showcases women's clothing, jewelry, and accessories by local and emerging designers. Then there's Yesterdays News, which sells vintage clothes, records, furniture, magazines and long-forgotten books. Last but by no means least, D'Amico Coffee Roasters is a neighborhood favorite who has been selling coffee since 1948. They also sell Italian groceries and sandwiches. The Italian American heritage of Carroll Gardens is still much in evidence in many of the restaurants in the area. Places like Frankie 457 Sputino, which serves dishes like gnocchi marinara or the charming Lucali's, that offers what many think is the best coal oven pizza in the city. Meanwhile, Aperture gives you Italian classics like veal Milanese and chicken cacciatore. Elsewhere, a new wave of trendy eateries has opened up in the last few years like Buttermilk Channel, which serves you hearty American comfort food including excellent fried chicken. La Cigogne is a French restaurant specializing in food from the Alsace region, while farm–to–table restaurant Prime Meats serves Alpine Cuisine with quality cuts of meat, artisanal cheeses, and seasonal ingredients. You can find Far-eastern flavors at authentic Thai Ugly Baby and Vietnamese noodle shop, Nightingale Nine. If you just want a sandwich, visit Court Street Grocers, a specialty market that offers grocery items and an extensive selection of sandwiches. 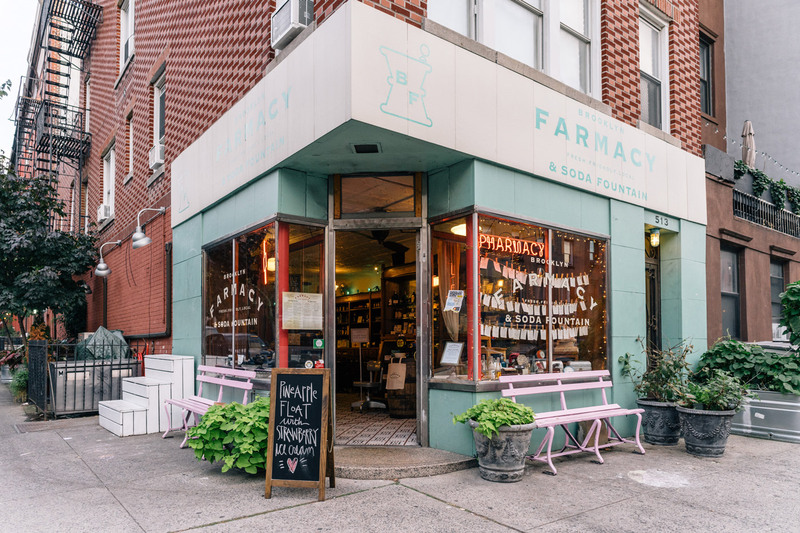 For a relatively small neighborhood, Carroll Gardens has some excellent drinking options. Other Half Brewing Company is a brewery making excellent craft beers that has its own taproom. Bar Great Harry, a low-key spot known for its incredibly wide selection of beers on tap with names like Highway Funky Prowler, will also impress hopheads. Brooklyn Social is based in a former Sicilian social club and still has pictures of members on the walls. These days it has transformed into a speakeasy-style bar serving a range of classic cocktails with a twist. Finally, Travel Bar gives your taste buds a chance to travel the world without leaving Brooklyn with cocktails like The Nordic and Grapefruit Milano.